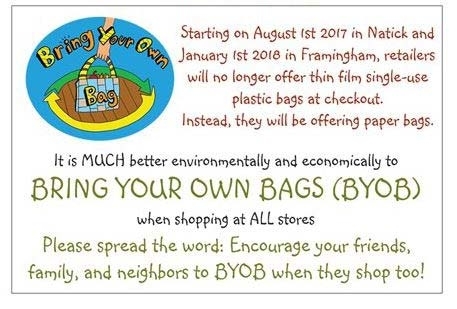 We are a group of citizens who are promoting the use of reusable bags as a way to ease the transition of the upcoming plastic bag reduction bylaw in Framingham, MA. 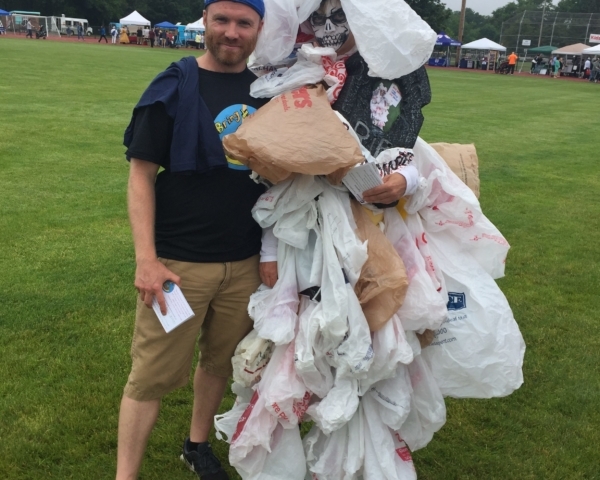 Beginning on January 1, 2018, Framingham will join 55 other cities and towns in Massachusetts as we enact a plastic bag reduction bylaw. After the bylaw change, retailers and grocery stores will no longer offer thin-film single-use plastic bags at checkout; instead, they will supply paper bags. However, we all do better economically and environmentally by using reusable bags as often as possible when shopping at all stores. 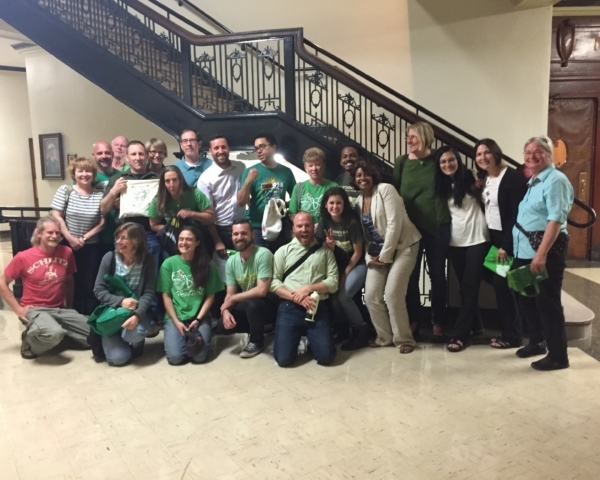 We are working with the Town of Framingham, The Metrowest Chamber of Commerce, retail stores, and citizens to achieve our mission. Our vision is to have a community where 80% of people bring their own bags when shopping at all retail stores. This will have a significant environmental and economic impact for both the planet and our community. By encouraging retailers and consumers to use reusable bags whenever possible, we are reducing our collective carbon footprint by reducing the number of plastic and paper bags that are distributed. As we work with consumers to shift habits towards reusable bags, we also hope that consumers begin to think of other ways they can reduce their environmental impact and live more sustainably. 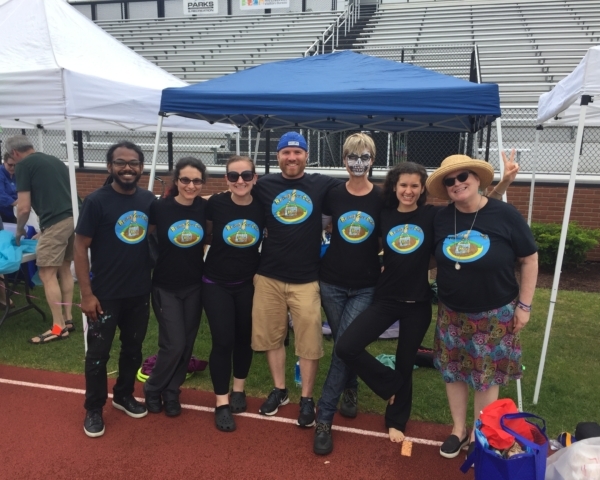 As a volunteer team, we regularly attend events to spread the BYOB word.